Raising money for your church can feel difficult sometimes, especially if you’re a smaller church that doesn’t have a huge congregation. Or perhaps you’re looking for creative ways to supplement monthly giving for a special project. Either way, there are tons of fundraising ideas out there, and it can be challenging to narrow them down. For that reason, it’s important that you pick a church fundraising idea that is easy to implement and aligns with your needs and goals. 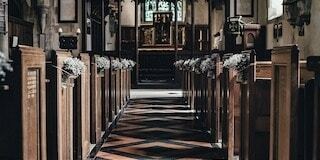 Are you ready to find that perfect church fundraising idea? Let’s dive in! Whether you’re looking to raise money for your church’s youth group, the entire church, or even a mission trip, a t-shirt fundraiser is a great idea because it allows your congregants to support your church through a charitable donation. 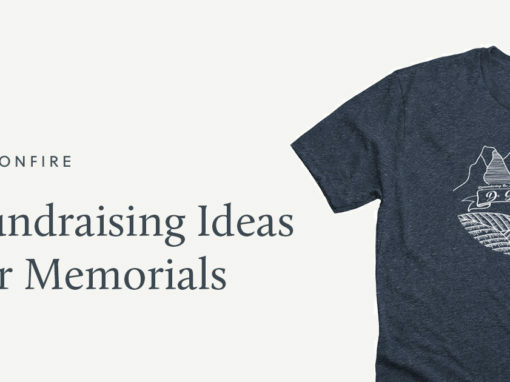 And they’ll get an awesome tee to promote your church with in return. 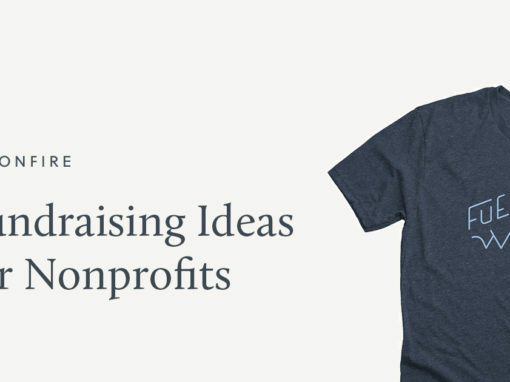 T-shirt fundraising can be fun and simple if you use a service that offers flexible design and shipping options. 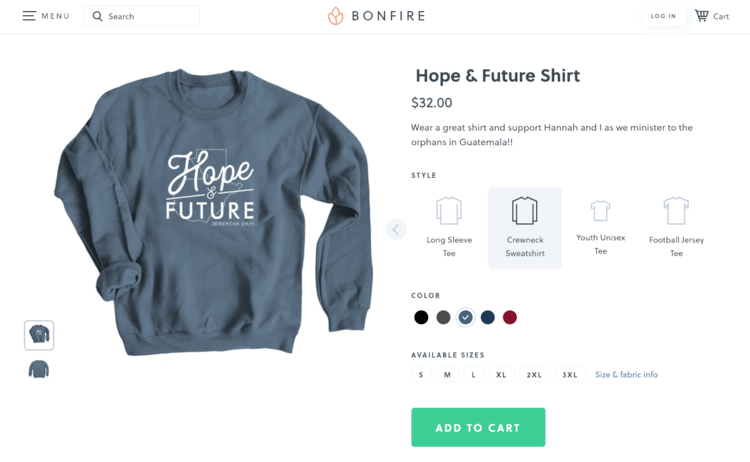 For example, Bonfire offers an easy-to-use design tool to create your design, or a library of free editable design templates, and will ship shirts directly to your supporters. You can customize and tweak them as much as you want until they are perfect for your community. 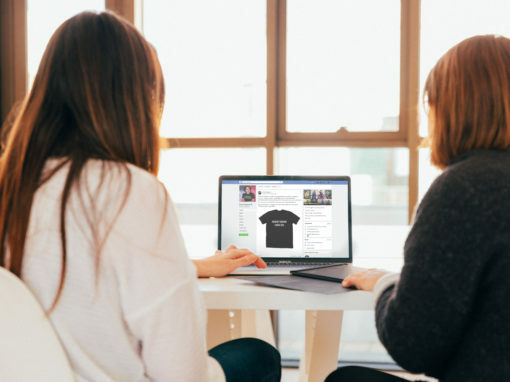 Once your t-shirt campaign is launched, you’ll want to promote it during services, on your church’s social media accounts, and in your newsletter. Text-to-give is the perfect companion to any church fundraising event, and it works great for churches that want to promote giving during services. When you make your announcement about ways to give, let your congregation know that you also accept donations via text message. 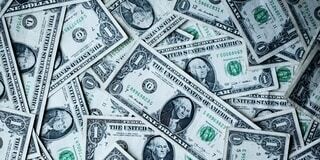 Church members that wish to tithe and don’t have cash or a check can give on their phones. 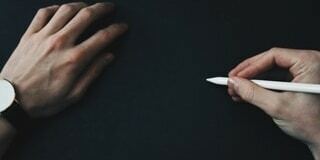 This is also a great method to use for special projects. 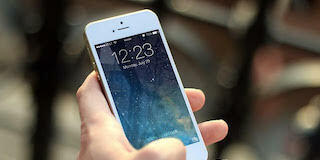 Tell your congregation the details behind the special project or cause, and then encourage them to give right there on their phones to support your initiative. Finding a capable text-to-give platform is the best way to ensure that your campaign is a success. Look for a text-to-give service that doesn’t have any giving limits and only takes a couple of steps to complete. Selling candles is a tried-and-true church fundraising idea—and with good reason! No one can say no to a beautifully designed, nicely scented candle. And if you start your fundraiser around the holiday season, they also make great gifts. You’ll need to find a candle wholesale provider from which you can purchase a variety of candles in bulk for a discounted price. 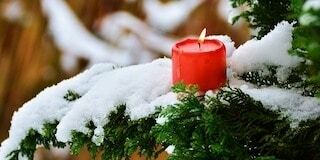 Have congregants volunteer to sell candles to their friends and family, and drive church members to sell even more candles by offering a prize to the person who sells the most. Rummage sales are popular church fundraising ideas, because who doesn’t like searching through tables of underpriced treasures? Start planning your church rummage sale about two months in advance and arrange multiple drop-off times for individuals to donate items to sell. If you need extra hands the day of the event, see if your youth group can help out. The sales will typically occur on a Saturday from early in the morning through the afternoon. Set up tables for the items and racks for clothing, and gather volunteers to help out the day of. 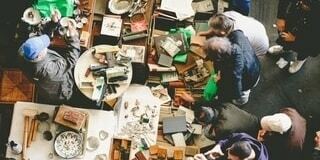 Rummage sales will attract bargain hunters, so make the most of your efforts! Cook-offs are fun and engaging church fundraising ideas because congregants can put together their best dishes and you can encourage some competition for the greatest one! Charge an admission fee to congregants so they can taste and vote on their favorites. 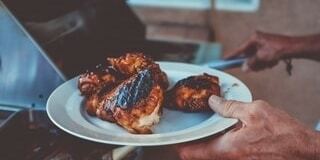 Hold a barbecue on the church grounds, or set up tables inside where people can arrange their slow cookers and foods. Then, have participants go around to try each station. Create custom shirts for the event, and award a small prize to the winner! Who doesn’t like to get a little competitive? Silent auctions are great church fundraising ideas because they not only raise money for your congregation, but also establish a sense of urgency and friendly competition among the bidders. Ask for donations from the community, such as local businesses that can offer free trips or products, and see how many bids you can get for each. Crowdfunding campaigns are a surefire way to raise money for your church and one of the most popular church fundraising ideas. Crowdfunding happens mainly online, and consists of a large number of people contributing small amounts of money to fund a cause or project. Be sure to tell a compelling story about your church through photos and videos, and you can even sell merchandise along with the campaign. 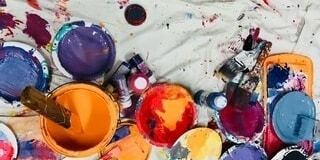 Often run during the holidays, an angel festival is a church fundraising idea geared toward youth groups that encourages participants to create angels using any materials they want. During the festival, young congregants will display their angels and people can donate to your church by placing money in containers beside each one. The event gives church members the opportunity to enjoy the handmade angels, drink hot cocoa and cider, and support their church youth group all at the same time! Having an Easter egg hunt is a great family-friendly church fundraising idea. Best of all? It’s super easy and inexpensive to plan. All you need are plastic eggs and candy. Ask the congregation to donate candy to help you cut down on costs and maximize fundraising potential for your church. Hide your candy-filled eggs around your church, and charge families a flat-rate fee to join the festivities. 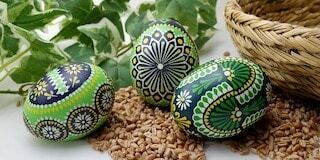 You can also sell Easter baskets to the children that don’t already have one. The noisy Sunday fundraiser is a great youth group or Sunday school fundraising idea where young congregants run up and down the aisles with half-empty cans and jars. They’ll make as much noise as possible, encouraging congregants to place their loose change into the containers to stop the noise. Once all cans and jars are filled, the fundraiser is over. 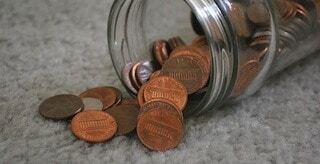 It might not seem like it, but your youth group or Sunday school can raise a lot of money through other people’s spare change. A field day is a great option for youth group fundraising because it’s fun for both adults and kids. Adults can enjoy games they haven’t played in years, while kids can just get out and play. Check out this guide for a full list of the best field day activities and games. Some of our favorites are tug of war, water balloon toss, and the classic sack race. 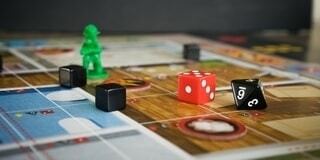 Host a family game night as a fun youth group fundraising idea. Offer anything from board games to trivia and provide dinner, as well as small prizes for the winners. Charge a small admission fee to participate and enjoy an evening of fun and friendly competition! Do your congregants’ children have gently worn shoes they no longer wear? 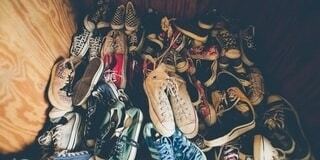 Why not host a shoe drive to collect these used (or even new) shoes? Shoe drives are unique church fundraising ideas that can really pay out. Recruit volunteers to help collect the shoes, and then team up with a shoe drive organization that will pay you per pound of shoes that you collect. It’s a great way for congregants to clean house and also raise money for your church! 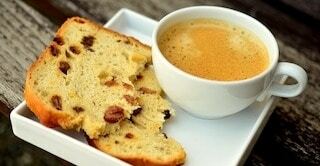 Nothing starts off Sunday mornings better than a cup of coffee and a baked treat. Why not sell coffee, donuts, bagels, and other breakfast items before your service starts? As a popular church fundraising idea, you can let your congregation know that they can arrive early on Sundays to enjoy breakfast. All the money you raise can go toward the church’s philanthropic projects. Your church members will jump at the chance to enjoy breakfast before your sermons and support their church at the same time. If your congregation loves to sing, why not host a hymn-a-thon to raise money? Your congregation will spend the day singing. It’s a fun way to get the whole congregation involved in raising funds for your church. Raise money by charging admission to the event or asking congregants to collect pledges based on how long they can sing. 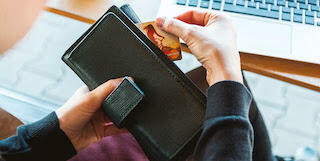 Since more and more people don’t carry cash on them, it’s crucial for churches to update their approach and make it convenient for congregants to give. That’s where giving kiosks come in! A giving kiosk is a fantastic church fundraising idea because you can accept gifts via credit card during fundraising events and services. Place your giving kiosk in a prominent spot, and let your congregation know about your new giving method. During the service, someone can even demonstrate how to use the kiosk, showing everyone that it’s quick and easy. Are there lots of children in your congregation? Give the parents a night off so they can go on a date night or to a special event. You can even pair babysitting parties with another fundraiser, such as an auction or gala. 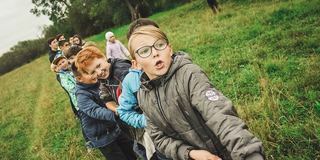 Babysitting parties are great church fundraising ideas because you can raise money by charging for the service, and all the kids can have fun playing together while their parents enjoy some time to themselves. A 50/50 raffle is an interesting church fundraising idea, as the stakes are higher for those who participate. Basically, the prize is 50% of the money collected from raffle ticket sales, while the other half goes to the church. 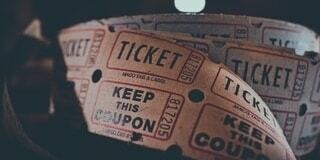 Allow congregants to enter more than once, and each ticket will serve as an entry into the raffle. Sell tickets for $1, or even $5 or $10, and draw the winning entry during services (which will also help encourage attendance!). A work-a-thon consists of workers (aka, the congregants) who collect pledges in return for participating in a long day of work. This could include yard work for elderly church members, housework, painting, or even repairs around the church. This is a great church fundraising idea because those who donate are able to support the church and also give services to elderly friends, family, and community members. Sell event branded t-shirts leading up to the work day to encourage participation. That way, the whole community will know what you’re raising money for. Have you ever taken a holiday tour of homes? If not, it’s a unique church fundraising idea where people can purchase tickets to go on a tour of local homes decorated for the holiday season (and even get ideas for their own decorating! ), all while visiting with neighbors and getting into the holiday spirit. 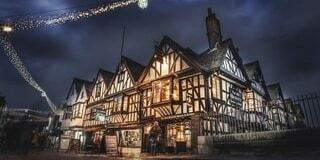 Highlight the charm of your local area and inspire congregants to showcase their houses. Encourage caroling and sell hot cocoa, as well. The sales can go directly to your church and get everyone in the holiday spirit! Did you find a fundraising idea that you can see your members getting the most excited about? We’ve always found that one of the biggest keys to hosting a successful fundraiser is selecting an idea that you’re excited to organize and promote. Once people see how excited you are to put on your event, they’ll be much more likely to gravitate toward you and offer support. 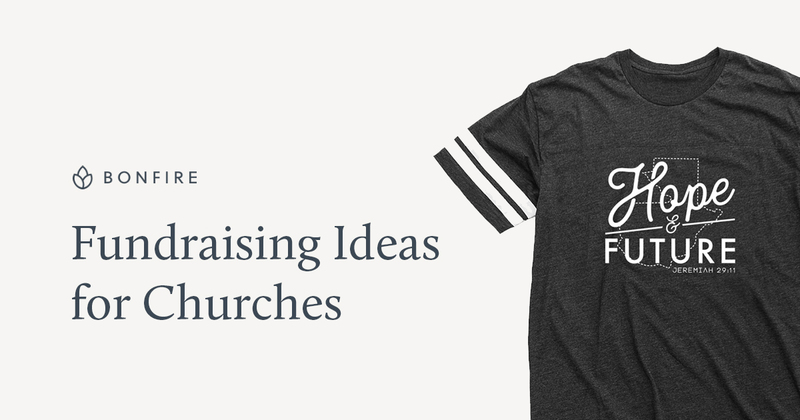 Ready to Launch a T-Shirt Fundraiser for Your Church? You’re just a few clicks away from raising money the easiest way possible.